In interviews published on Friday, Infantino says a revamped club competition could start in 2019. His suggestion follows speculation that China wants to host more international football. FIFA President Gianni Infantino says the Club World Cup could expand to a 32-team tournament played in June. 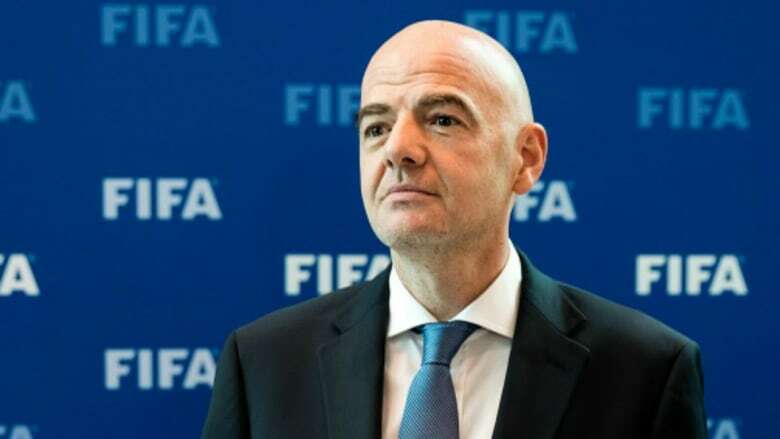 Infantino says in interviews published on Friday in Italian and Spanish newspapers that a revamped club competition could start in 2019. A 32-team event played in the last three weeks of June would be more balanced and more attractive to broadcasters and sponsors, he says. Infantino's suggestion follows speculation that China wants to host more international football. Last year, Chinese retailer Alibaba E-Auto signed as the Club World Cup title sponsor through 2022. Currently, the Club World Cup is a little-watched seven-team event in December. It typically leads to a final between the champions of Europe and South America. Japan hosts next month's edition featuring Real Madrid and Atletico Nacional of Colombia.